I am cooking a community meal for about 30 tonight. Beef stew, chicken corn chowder and a vegan/veggie mix. Now how the hell am I going to transport them? I LOVE STEW! I need to learn how to make it. Feel free to share any recipes. And chili. If you can make chili, share that too and I'll love you forever. :) You're kinda awesome to make food for that many people, girlie. Hope you got it transported safe and sound. yummmmmmo! sounds amazing! hope it went well, pretty bird. p.s. 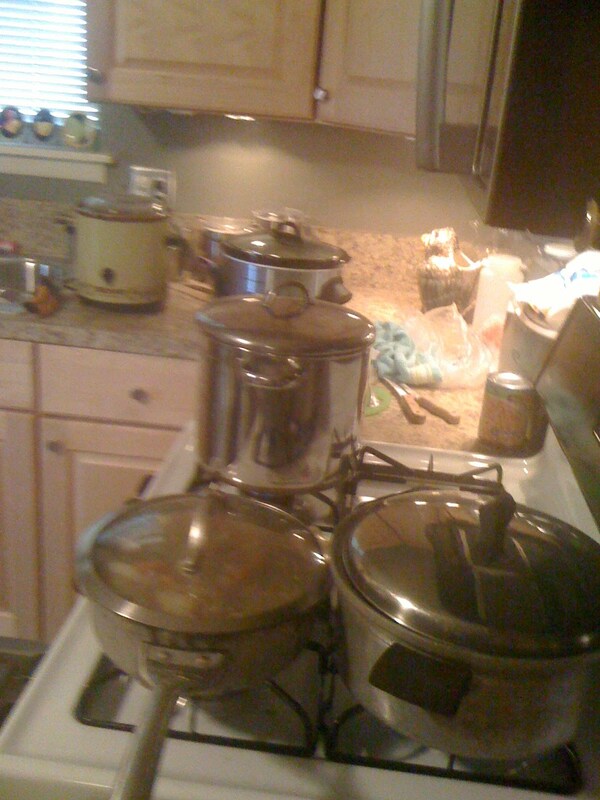 all those pots on the stove make me REAL excited for thanksgiving. !! !